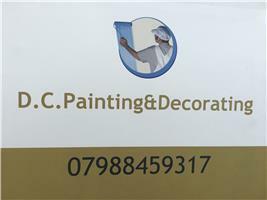 D.C Painting & Decorating - Home Improvements, Painter/Decorator based in Bromley, Kent. Here at D.C.Painting&Decorating, I produce the finest results for all your home and businesses to get the look and highest quality service they need, without the costly price, With over 10 years of producing the finest decorating service,I pride myself on producing the final outcomes that will leave you more than happy. For all requirements and specific details you are after, get in touch with the friendly, reliable service you can rely on for all your properties decorations. You can put all your trust in me as I only produce the highest quality final outcome, to leave that homely feel you are after.